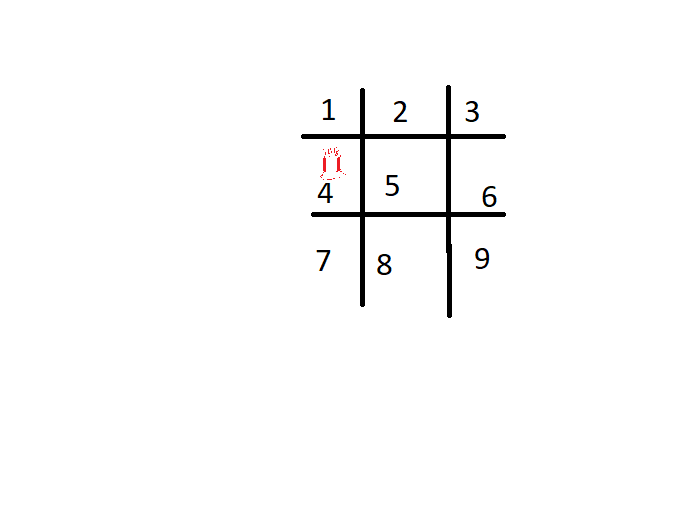 I'm trying to write/come up with an algorithm for a phone keypad traversal. Let's say I have a rook on a keypad. The rook can traverse only horizontally and vertically. My code has to input a phone number and check whether the rook is able to dial it (shouldn't go diagonally) and return a boolean based on the result. Example: A phone number "4632871" is termed as "true" since the rook can traverse without going diagonally whereas "4853267" is termed as "false"
Is there a way to optimize this piece of code? There are a lot of different traits you could optimize for. I like to optimize for lines of code, so I'll try that. 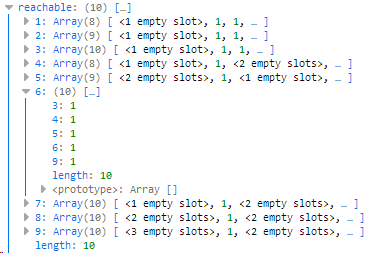 You can simplify the testing by building a "graph" (2-dimensional array) of reachable numbers. Each row and column index is a phone digit. If the value at (i,j) is true, then j is reachable from i. To do this, take all the numbers in each digit's row/column and create an array where those indexes have a value of 1. The digit 6 can reach 3,4,5,6,9 and you can see that reachable[x] is true for x=3,4,5,6 or 9. Then simply run through the list of numbers and test if reachable[current][next] is true. I've assumed the rook can dial repeated numbers like 3333. If no, you can test for that in the graph creation or during reachability testing. Check an ES6 API implementation: can you see anything terrible?